A crucial prerequisite for assigning a marble artifact to a possible source is the availability of a reliable set of quarry samples for comparison. 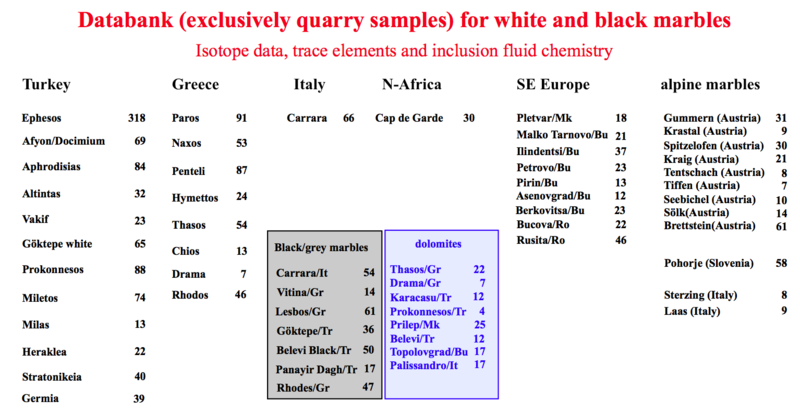 The databank includes the analytical data (stable isotopes, trace elements and inclusion fluid data) of more than 3500 quarry samples from all regions of the empire. 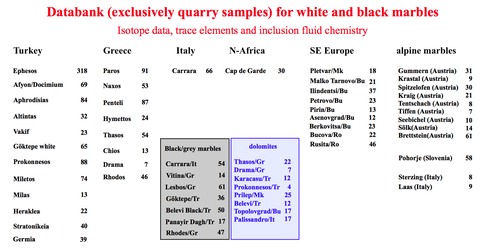 The analytical variables (stable isotopes, trace elements and inclusion fluid chemistry data) of the databank.